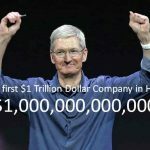 Apple on Thursday August, 2018, becomes the first company in history to be worth more than $1 trillion on a public stock market. 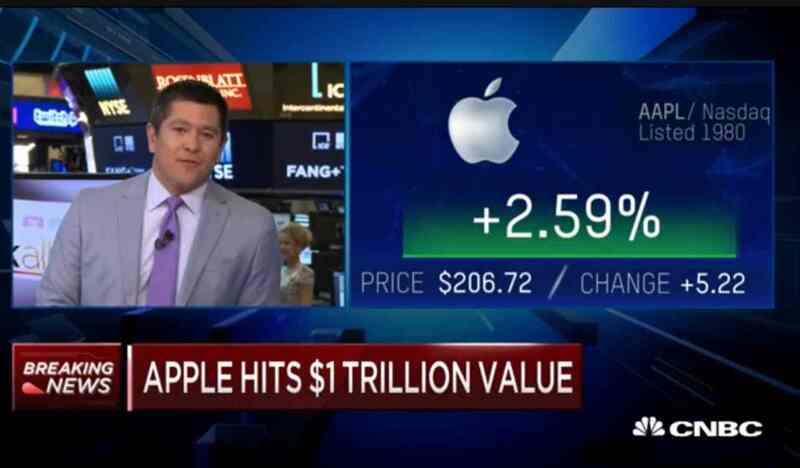 Shares of Apple jumped Thursday to hit the magic number of $207.05, making it the first company in the world to reach a market value of $1 trillion. To put this in perspective, “Apple’s $1 trillion cap is equal to about 5 percent of the total gross domestic product of the United States in 2018,” said David Kass, professor of finance at the University of Maryland. The stock rose nearly 3 percent after a strong fiscal third-quarter earnings report earlier this week, briefly hitting a session high of $207.05 in midday trading before falling back below $207. 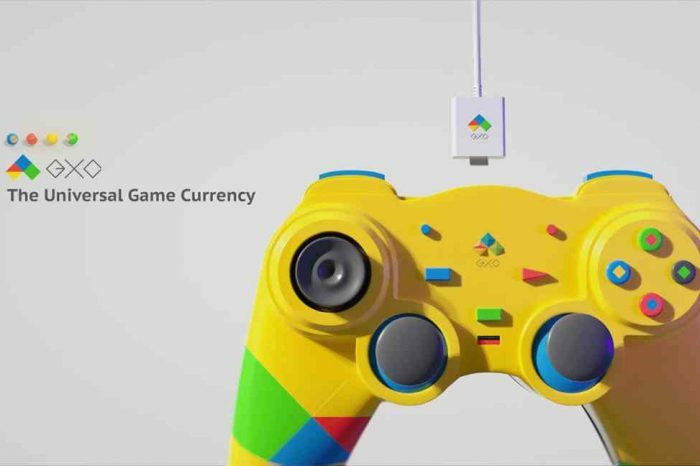 The price translates to a $1 trillion market cap, based on the current estimated number of outstanding shares. 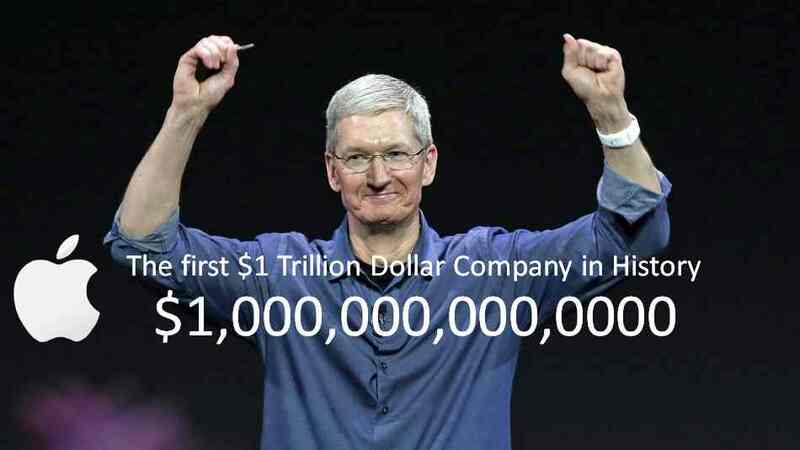 Based on a recently adjusted outstanding share count of 4,829,926,000 shares, a stock price of $207.05 nudged Apple over the finish line in the race to $1 trillion. Investors had previously been looking for a share price of $203.45, but the company’s hefty stock buybacks moved the threshold higher. Founded on April 1, 1976 by Steven Paul Jobs, Steve Wozniak, and Ronald Gerald Wayne, the Cupertino, California-based Apple is an American multinational technology corporation that designs, manufactures, and markets mobile communication and media devices, personal computers, portable digital music players, and sells a variety of related software, services, peripherals, networking solutions, and third-party digital content and applications. Apple is the world’s largest information technology company by revenue and the world’s second-largest mobile phone manufacturer after Samsung. Apple was named as the most admired company in the United States in 2008 and in the world from 2008 to 2012 by the Fortune magazine. Apple provides many products and services, including iPhone; iPad; iPod; Mac; Apple TV; a portfolio of consumer and professional software applications; the iOS and OS X operating systems; iCloud; and accessories, service, and support offerings. It sells its products worldwide through its retail stores, online stores, direct sales force and third-party cellular network carriers, wholesalers, retailers, and value-added resellers to the consumer and also sells third-party iPhone, iPad, Mac and iPod compatible products, including application software and accessories through its online and retail stores. Apple employs 123,000 full-time employees and maintains 499 retail stores in 22 countries as of December 2017. It operates the iTunes Store, which is the world’s largest music retailer. As of January 2016, more than one billion Apple products are actively in use worldwide.